There are plenty of older, historic homes in the Philadelphia area. When the team at M-Jay Builders, Inc. got the call to replace the worn-out cedar shake roof on the Brian home, they jumped at the opportunity. 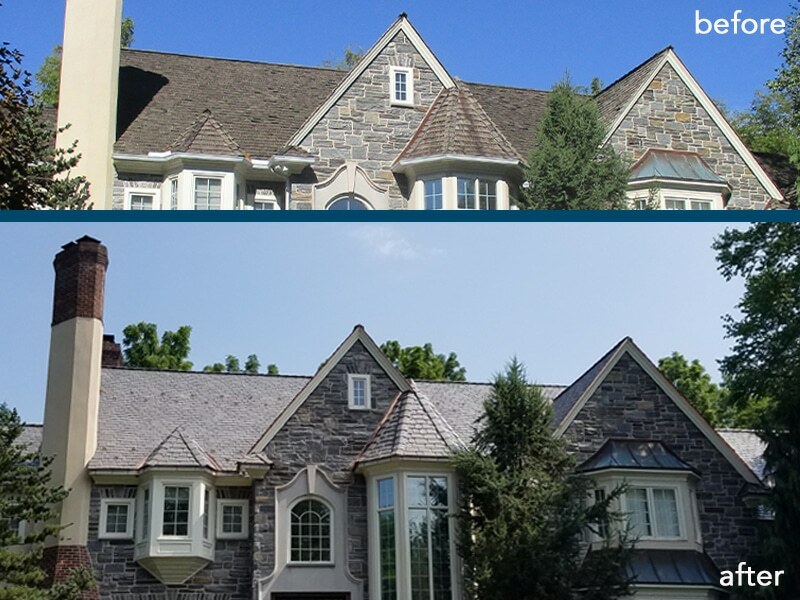 Tops on the priority list for homeowner Mark Brian was finding a roofing product with longevity that would have great aesthetics to complement his home. After sharing information with him about composite roofing options from DaVinci Roofscapes, M-Jay Builders was awarded the project. No problem there. The Brian family reports giving the new roof “two thumbs up” for how the DaVinci composite slate roof flatters the home exterior and the overall installation job done by the team at M-Jay Builders.